This recycling education campaign kicked off on America Recycles Day in 2018 in Forest Park. This event included an art installation made of 2,663 plastic bags tied together representing the number of plastic bags used every second in the United States. In total, this reached nearly one half mile in length! Along the half mile walk were facts about plastic bags’ impact on our environment. Various environmental organizations were also on site providing information and ways to get involved with the Recycle Responsibly campaign. With over 200 attendees, adults and children, America Recycles Day: The Truth About Plastic Bags, was a success! 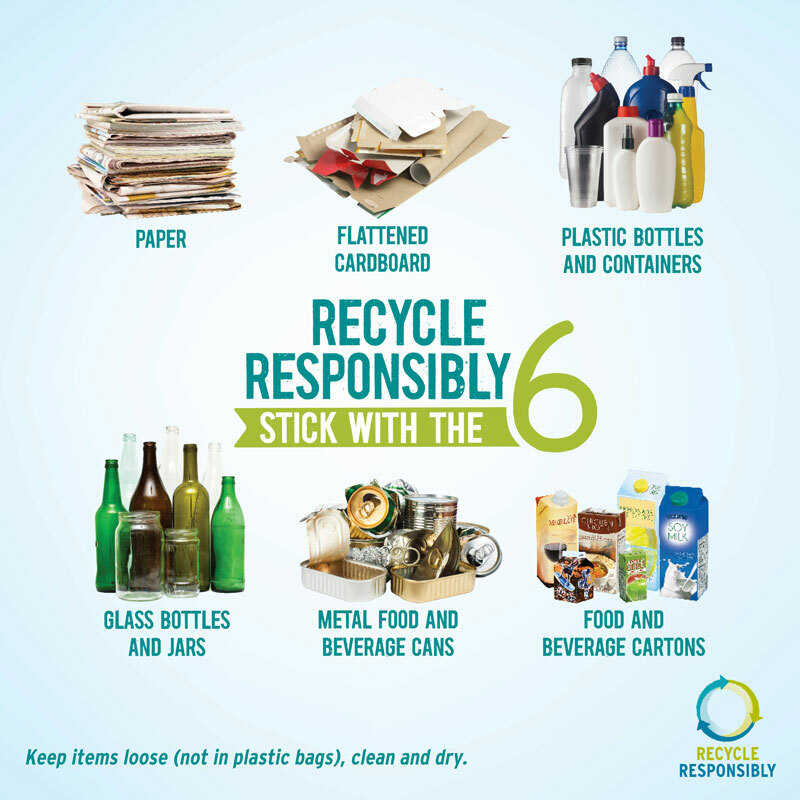 Recycling can be easy if we just, “Stick with the Six!” Paper, flattened cardboard, plastic bottles and containers, glass bottles and jars, metal food and beverage cans and food and beverage cartons can all be recycled. Keep recyclables loose (not in plastic bags), clean and dry. If it’s not on this list, don’t put in it in your bin! “Wishcycling” is when you hope by putting something in the recycling bin that it will be recycled. Putting the wrong items in your recycling bin does more harm than good. A good example of this is plastic bags. Plastic bags are one of the largest sources of contamination in single stream recycling. Plastic bags cannot be recycled in your home recycling bin, but there are other places to recycle them. If plastic bags make their way to the recycling sorting facility (either as loose, individual plastic bags or as plastic bags containing recyclables), they jam the sorting machinery at the facility. This shuts down the sorting process for hours at a time and puts workers at risk for injury, as they manually cut out tangled plastic bags from machinery gears. Plastic bags and other plastic films should be taken to a local grocery or retail store for recycling. Find a nearby collection location at PlasticFilmRecycling.org. Help reduce plastic usage by always bringing reusable bags with you when shopping! It was 1969, and while all eyes gazed up to the moon, we were focused on the world immediately around us. As Neil Armstrong took his first steps on the moon’s barren landscape, we were taking our first steps to care for and protect this Earth, this place, our home. 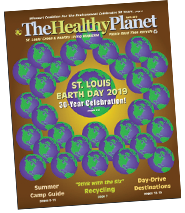 Before there was an EPA or Department of Natural Resources, before there was an Earth Day, recycling bins, or clean water permits, there was the Missouri Coalition for the Environment (MCE), the state’s first independent, grassroots citizens group fighting to keep our environment and the people of Missouri safe and thriving. Fifty years ago we began this work and fifty years later, that effort has led to the tools, policies and laws which form the backbone of environmental protection in our state. You can draw a straight line from the early conservation efforts of one of our founders, Leo Drey, to today’s Food and Farm Program and MCE staff members Melissa Vatterott, Rae Miller and Tosha Phonix, whose efforts are helping make nutritious, locally produced food accessible and affordable for everyone. What is an edimental, you may ask. It is a word combination of edible and ornamental. Garden plants are usually classified as one or the other. Plants that are grown for their beauty only are called ornamentals. Plants that are grown to be eaten, are called edible. Usually edible means eaten by humans, but it can be also mean eaten by a garden creature. Seeds left on plants to be eaten by birds can also be an edible. Leaves eaten by monarch butterflies as they chew away milkweed (asclepias) leaves can be an edible plant. Even nectar eaten by bees, butterflies and birds is an edible plant for them. Gardening during most of our lifetimes has been dominated by ornamental plants. Gardens have been thought of as only pleasurable for human eyes. For most garden plants, looking good has been their only job. They are the ones in our front gardens. Edibles have been relegated to the back yard in a vegetables only garden. Fortunately we are waking up to the realization that garden plants serve many more purposes than just wining a beauty contest. Many edibles are also beautiful and deserve a place in our front gardens. How do we find edimental plants that are both ornamental and edible? 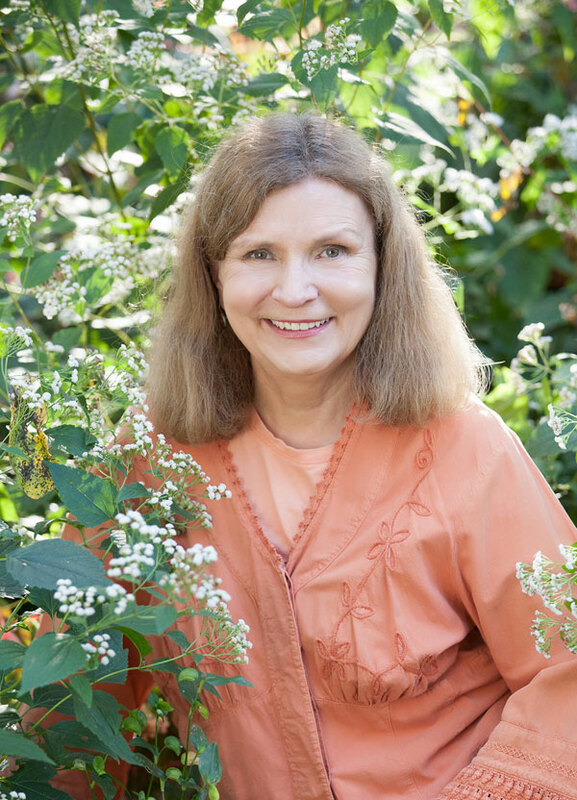 As gardeners we can begin to see beyond the beauty of a plant and learn how it offers nourishment to others with its flowers, foliage, seeds or roots. These are plants that can be considered for the front garden. Baker Creek Heirloom Seed Company is excited about its biggest festival of the year. The 19th annual Spring Planting Festival at Bakersville Pioneer Village near Mansfield, Missouri, is Sunday and Monday, May 5 and 6. The event that started with a small gathering of gardeners in the year 2000 has grown to more than 10,000 attendees each of the past 2 years. 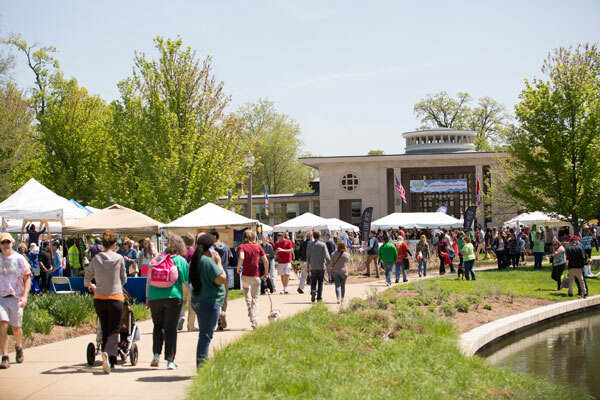 All come to enjoy a sense of community with fascinating seed collectors, old-time musicians, internationally acclaimed speakers, historic demonstrators, food activists, home schoolers, western re-enactors, organic growers, gourmet chefs, free thinkers, Ozarkian crafters, trendy vendors and herbal hippies. Baker Creek owner Jere Gettle began hosting festivals to bring gardeners together to share and learn from one another. Learning and sharing are still the major components of the festival. Both days will be filled with presentations from some of the nation’s leading experts on GMOs, healthy food, permaculture, heirloom gardening, seed saving, and so much more. More than 100 vendors display and sell their traditional crafts, food, tools, homesteading supplies, and eco-friendly items. Visitors have opportunities to purchase handmade quilts, garden art, locally made blacksmith tools, essential oils, handmade and homemade clothing, leather goods, and so much more.